American Beauty (1999): Dir. Sam Mendes. Written by: Alan Ball. Starring: Kevin Spacey, Annette Bening, Thora Birch, Wes Bentley, and Mena Suvari. Rated R for strong sexuality, language, violence and drug content. Running time: 122 minutes. This year the Academy would forgo exotic locales for American suburbia: wholesome subject matter like teenage pot-dealing and burgeoning pedophilia. And while there’s a level of potency to this tale of suburban desperation, I’m not its brand of malaise has transcended time. Lester Burnham tells us right from the get-go—he’s going to die. We see his life as a less-than-lovable loser, trapped in a dead-end job and surrounded by a family of self-involved prigs. But he gains a new lease on life after falling for his daughter’s friend Angela. He quits his job, blackmails his boss, starts lifting weights, and buys a flashy new car, much to his family’s chagrin. Looking to expose the underbelly of placid suburbia, director Sam Mendes and writer Alan Ball go for a broad comic tone. And while that results in some raucous humor, it also means this film feels less like a peek at real life than a TV sitcom. Luckily, the film has an ace Kevin Spacey to anchor the film, whose disillusionment and desperate acts of rebellion make him an indelible character. Unfortunately, the filmmakers don’t always support their vision with convincing supporting characters—Annette Bening’s Carolyn comes off as shrill and cartoonish, and Wes Bentley’s next-door neighbor is like a walking stereotype for the artist who takes himself way too seriously. But even if the surface seems inauthentic, Beauty finds some of its title in the meticulously constructed fantasy sequences. The recurring motif of rose petals suggests Lester’s desires extend beyond a lust for a teenage girl, toward something more abstract and intangible. 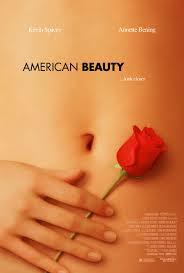 American Beauty may have seemed like the film of 1999, but appears to have lost its profundity over the years. Yet despite its flaws, the film manages to come together in the finale—and there’s more than just “beauty” to find there.